Redhawk Resources - Fund I, LP is an oil and gas project under development that consists of two waterflood properties located in Okfuskee County, Oklahoma. These producing assets are combined with a 20 well drilling and development program in a 10 county area of Northwest Kansas. The partnership also owns working interest in the Permian Basin. The combination of production assets and a formula-driven low risk drilling program is an example of our blend of asset categories. This $33,000,000 offering was 100% funded in 17 days. The Partnership is drilling and operating the wells and production assets. Asset I: Redhawk Resources - Fund I, LP acquired leasehold including more than 15,000 net mineral acres southwest of Sheridan County, Kansas, and also aggressively leased an additional 7,000 acres for a total acreage position of 22,000 acres. These areas have numerous stacked, multi-pay fields with cumulative production approaching 1.3 million BO. The program’s acreage is within the expanding western Lansing-Kansas City productive fairway between and on trend with existing fields. 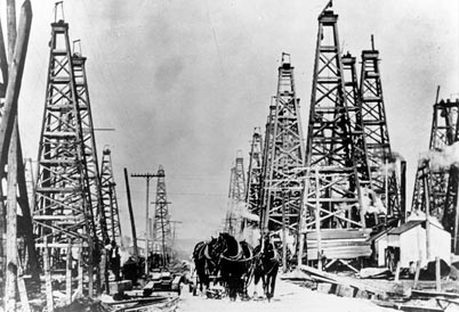 The developmental wells have been drilled in this N.W. Kansas area and are a producing asset. Asset II: Redhawk Resources - Fund I, LP is comprised of two unitized fields of producing oil and gas wells located in Okfuskee County, Oklahoma. These primary wells have been converted to secondary enhanced oil recovery properties, commonly known as “waterflooding”. We have a substantial amount of the reservoir resource remaining after primary production.